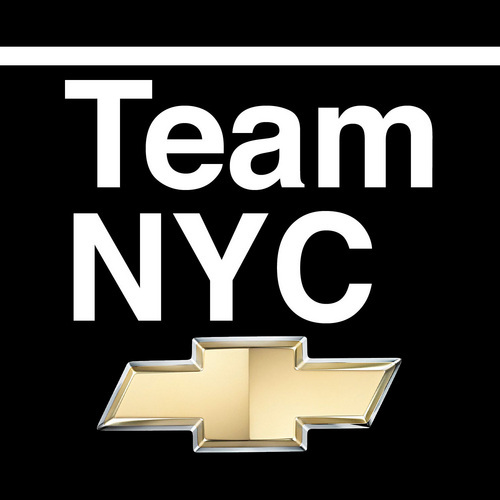 The Chevy SXSW Road Trip is an adventure and a competition to raise awareness and money for Adopt-A-Classroom, rather than just a typical three day drive from New York to Texas. Our team will be competing against 9 other teams leaving from across the US and Canada to perform tasks and earn points as we travel, and the tasks are as mysterious to us as the route we are taking. Our team will get in the car on March 7, hit the OnStar button and begin our journey in a direction we are told to go and follow the mysterious voice that is broadcast into our car. Of course, I will not be doing this alone, since it’s a team effort. Our illustrious captain is Rob Blatt, who is not only the interactive manager at Symphony Space and the curator for The Adult Nerd, but is also the commissioner for the League of Amateur Competitive Eaters, who will be running two ice cream sandwich eating competitions at SXSW. The second member of our team is the inimitable Patrice Callender, all around funny woman and frequent correspondent on Keith and the Girl, who will keep us in stitches with her snark and keep the tunes rolling as we motor. The final member of our team is the always esteemed Biana Bakman, who is not only a social media consultant but a fine fine cook as well, and whom we expect to make sure we eat well on our trip. Since this trip is a competition, we’ve already begun talking the smack online, and have two side bets with the Detroit and Los Angeles teams (of course, if any other teams think they pose a challenge to us, we’re willing to put up against them too). If we didn’t admit to having plans for during the trip, then it would be obfuscation of the truth, since we not only plan to win a prize that has still not been revealed to us, but to win with style. We have been told we will be receiving a 2011 Chevy Equinox to travel to Austin in style with. Not only will it have OnStar to tell us what to do, it should give us a nice ride and I’m looking forward to getting behind the wheel of it over the course of our trip. We are scheduled to pile into it on March 7 and travel the unknown route until early evening on March 10. Then we will be in Austin until March 15, when we get to return via a route of our choosing. If you are in New Orleans, LA the evening of March 15 (yeah, a little late for Mardi Gras) or Greensboro, NC on March 16, let us know as we spend a night in your city. We return to New York on March 17, in time to throw back a few drinks for St. Patrick’s Day. You can follow our passage in real time on this site. Life is about adventures and sometimes the journey is more rewarding than the actual destination, though I would contend that both are equal to me on this trip. As we travel, you can follow our adventures on Twitter, Facebook and Tumblr as we travel the country. And if you are in New York tonight (Friday, March 4, 2011), join us at Night Hotel as we have our send off party and raise money for Adopt-A-Classroom. And please contact me if you’d be interested in sponsoring our trip in any way, either during the trip or putting up raffle prizes to raise money at the party.